Thankfully odessigroup have the solution! The EM-4GE provides a simplistic standalone solution to replace existing PSTN phone lines that are being decommissioned in the nbn™ network migration. You may need to upgrade your lift’s emergency phone to make sure passengers can contact the call centre at any time about a breakdown, even in a power failure. This will depend on the type of service you are being supplied. Certain devices, including those of that are safety-critical such as medical alarms, may not be compatible with the nbn™ network at all times (including, but not limited to, during a power blackout). Contact Odessi Group now to know about whether your device will work when connected to the nbn™ network and what alternative solutions are available if it doesn’t. At Odessi, we provide both a lift vendor and carrier neutral solution that is fully ACMA approved which provides the most comprehensive solution available. 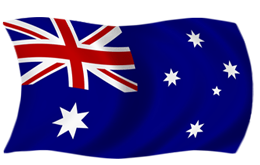 Our “Australian Made” Gateway Device is ACMA approved, complies with all the AS Standards and is fully compatible with all lift manufacturers in Australia. With Odessi providing the monitored Gateway, the key advantage is that it removes the device from any existing lift phone maintenance agreements thereby alleviating any further complications. Odessi has wholesale agreements with Telstra, Optus and Vodafone thereby enabling our customers to leverage best network for given location. For your ease of use, we will provide you with a monthly bill that includes usage and monitoring charges. Our monitoring capability enables us and our customers to be notified of any event that may be impacting the gateway be it power outage or otherwise. Our Maintenance Agreement allows you to “Set & Forget” with the peace of mind that all your essential services are covered. For your “Peace Of Mind” choose odessigroup’s cost-effective acma compliant solution. Call Us for obligation free quote today.